Karan Johar may have been accused of being a flagbearer of nepotism but it can't be ignored that he launched many new faces and gave us many actors over the years. 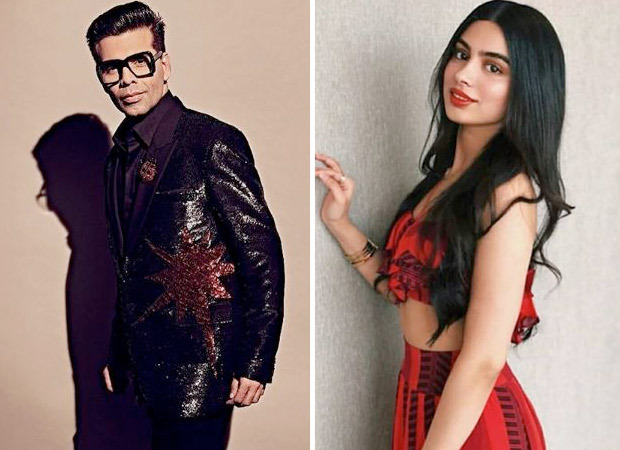 After launching Janhvi Kapoor and Ishaan Khatter in Dhadak this year, he is all set to make a film headlining Khushi Kapoor and yet another star kid. While speaking on Neha Dhupia's radio show, he confirmed that he has his eye on Sridevi's youngest daughter Khushi and he wants to cast her with Javed Jaffery's kid Mizaan. He said on the show, “Mizaan is going to be amazing; he is a potential big star and a great dancer. And Khushi perhaps, she is gorgeous and lovely,” it will be interesting to see this fresh Jodi together. Though we have seen a lot of Khushi, there isn't much written about Mizaan so it would be refreshing to see them romance each other. Khushi once wanted to be a model but later after getting exposed to the film industry she changed her mind and now wants to follow her elder sister into the industry. She has been a source of strength to Janhvi in her difficult times and is a great support system to her, especially after their mom Sridevi passed away in a freak accident in Dubai. Karan on the other hand is busy with his television and radio commitments and will soon return to direction with Takht which stars Janhvi Kapoor, Kareena Kapoor Khan, Vicky Kaushal, Ranveer Singh and Bhumi Pednekar in lead role.